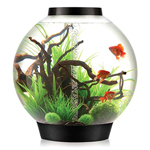 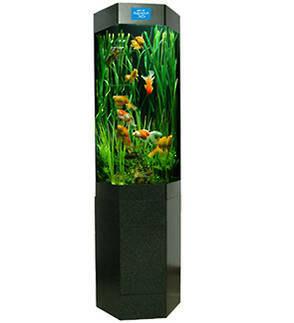 Art of Aquaria’s own brand of aquarium, manufactured in New Zealand. 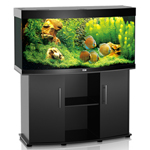 Our most popular and versatile range. 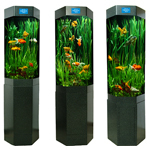 Hexagonal in shape, all components contained within the cabinet below. 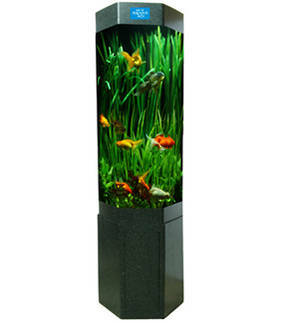 High quality Polycarbonate Acrylic, 6mm plexi glass with 30 year non-discolour warranty. 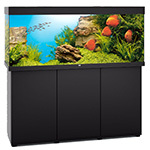 All three aquarium sizes are approx six foot tall, and occupy up to one chair space; it’s the tank size and volume that varies. 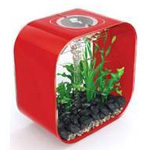 Perfect for placing in the corner of the room, or flat against a wall. 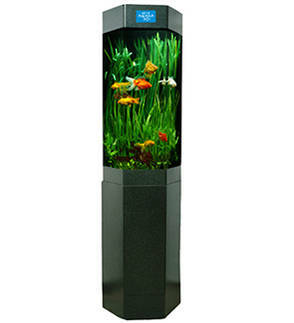 Includes an Eheim classic filter, full lighting system and digital light timer, as well as Goldfish, gravel, and live plants.